Australian Rules Football has a brief history in Ireland. However in the years following, the level of interest, participation, and quality of play have all taken leaps forward. 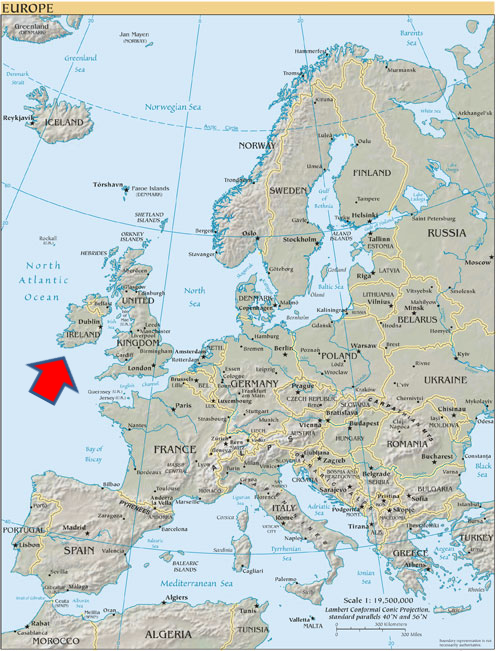 The Australian Rules Football League of Ireland (ARFLI) was founded in 2000, but Aussie Rules actually came to Ireland in 1999 when squads in Belfast and Dublin recruited through the off season. The new Dublin Demons traveled to London in April, 2000 to take part in preseason matches with the British Australian Rules Football League (BARFL), and finished third out of 12 teams. The Demons then won a best-of-three series with the Belfast Redbacks to be crowned the first footy champion on the Emerald Isle. Leavy said he got his start in footy with the Midland Tigers in 2003, having been introduced to the game by his brother Mark. Both men went on to represent Ireland in the 2013 Euro Cup, and since then Leavy hasg teamed up with Shaun Saurin and Brendan Kelly to develop the women’s game in Ireland. 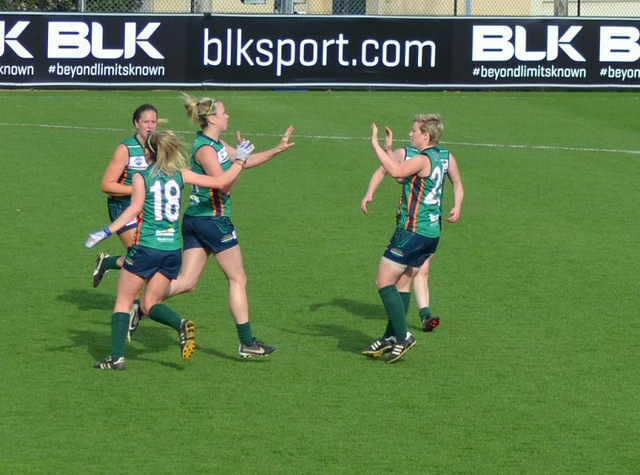 There are two women’s teams in Ireland—the Dublin Angels and the Ulster Kookaburras. Ireland’s strengths lie in the interchangeable skillset learned in Gaelic Football, skills that translate well onto the footy pitch. A potential disadvantage could be stamina because they don’t play a lot of 18-a-side footy due to the size of available fields. Most of their games are played nine, 12, or 14 to a side. The Banshees won the inaugural five-team International Cup in 2011 with a 31 point win over Canada. 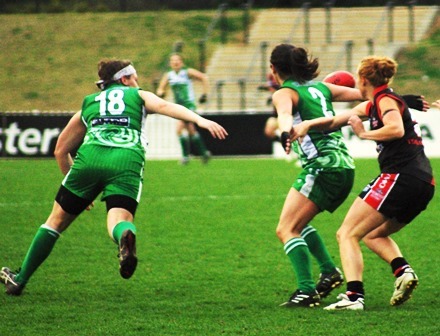 In 2014 there were seven sides and the Banshees fell in the Grand Final to Canada Northern Lights. So not only has the interest level risen in Ireland, it’s also gone up on the world stage as eight women’s teams will compete for the 2017 International Cup. Ireland is rounding into form as they prepare for IC17. They are ranked fourth in the most recent World Footy News rankings. The Banshees won the 2016 Euro Cup in Lisbon, Portugal, and in May they traveled to the London Footy Carnival and opened with a 50-point win over the London All-Stars. A 22-1 win over the Canada Midnight Suns followed, and the Banshees fell by six points to the Great Britain Swans. Ireland took home the trophy based on having the highest percentage. “The players have been working very hard over the past 15 months in preparation for the tournament with many players receiving sponsored assistance from local personnel; trainers coupled with club and national team training sessions. The London Footy Carnival against three quality teams also proved very beneficial for any new players on the team,” Leavy said. Rising star Onora Mulcahy agreed. The Banshees team is made up of players who have competed in the local league as well as the London league and various country leagues in Australia. The Australian based players comprise of a mix of girls who are taking a year out and have decided to “give it a go” while in Australia, as well as and those who have settled in Australia after falling in love with the lifestyle. 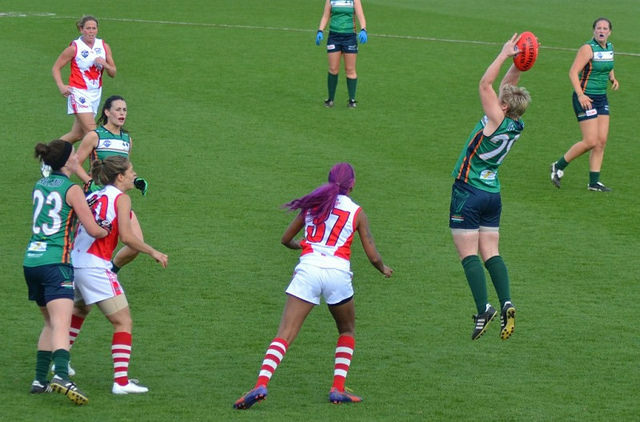 Laura Corrigan Duryea from Diamond Creek and the Melbourne Demons needs no introduction to anyone who followed the inaugural AFLW season, while Carol Breen and Gillian Behan are really impressing for UTS Shamrocks in the Sydney Premier League. Leavy is excited about having Marie Keating from IC11 back in the squad, while Carolann Cassidy has grown into a real leader for the team since playing at IC14. Of those making their International Cup debut, expect big things from Onóra Mulcahy and Clara Fitzpatrick. Duryea and Mulcahy are team co-captains. Tough matches await against the United States, an improving Papua New Guinea side, and the European Crusaders. But expect Ireland to get out of pool play and compete for a premiership. They have competed in the first two IC Grand Final matches and they also add veteran experience and firepower with international players joining the side. IRELAND schedules with local Australian and BST timezones.